Polonnaruwa Gal Viharaya ( Uththararamaya) is one of the main attraction in Polonnaruwa. The name Uththararama means the temple by the north side. 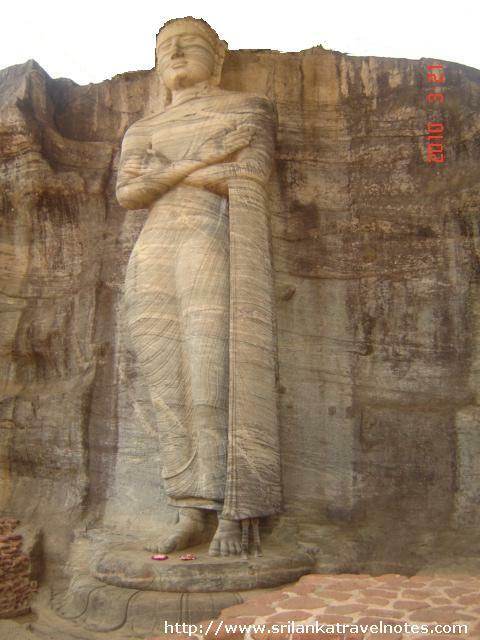 This was done by king Parakamabahu (year 1153 -1186) in Polonnaruwa Kingdom time. 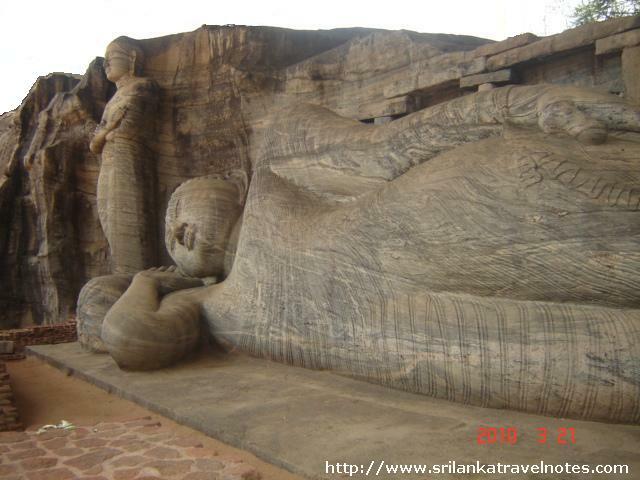 This has two seating Buddha statues, one Standing statue and one statues in a Parinirvana Manchakaya. All the statues were done from a single huge granite rock. 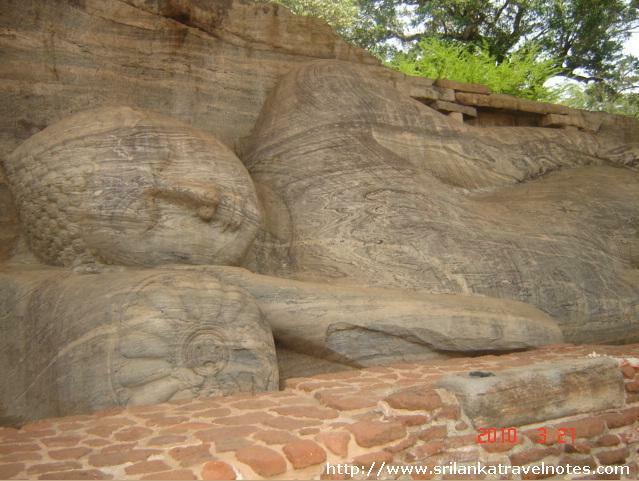 The large samadhi Buddha statue is around 16 feet in height and its the left most one towards the west. There are some decorations in the back wall. There are archaeological facts that, there was a brick house build around this, but you can't see that in here. 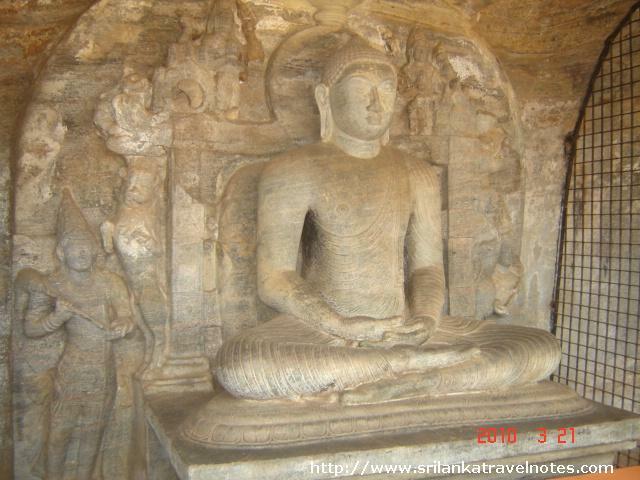 This statue is located in a cave ( man made) call Vidyadara Guhawa. There are some decorations done on the background wall. According to the archilogical facts, this had some frescos also, still you can see some faded images. 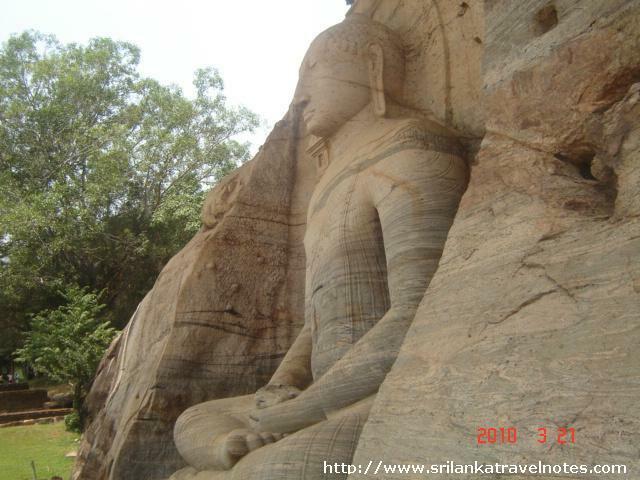 This standing Buddha statue different to other standing Buddha statues found in other parts of Sri Lanka. The arms are folded in this statue and eyes are also closed. There were some belief that this is a statue of Ananda Thero. The sorrow pose is due to the Buddha's Parinirwana. But since this was done on a Lotus Stage, this is really a statue of Load Buddha. According to archaeologists, this statue was not by king Parakramabagu and completed in later history. 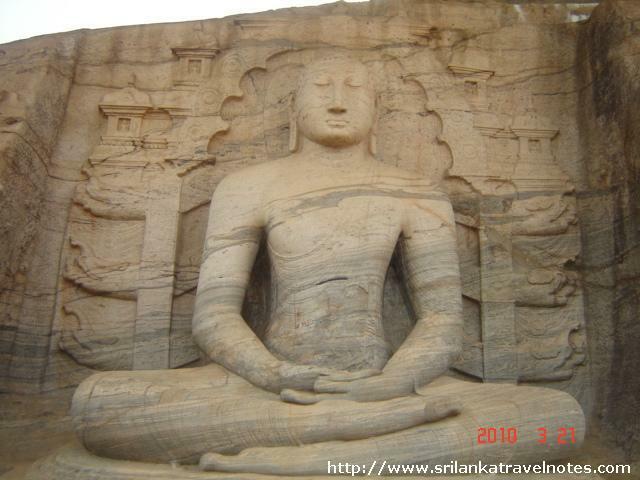 This granite statue done according tope the Load Buddha's Parinirvana pose. Parinirvana is not the death, butits a entering to Nibbana. This statue is 14 meters long. If you are been to there please notice the the shape of the pillow. The artist has caved the pillow in such a way that, the middle path of the it slightly depressed (pushed down) because of the weight of head of Load Buddha. Other noticeable thing is Load Buddha's one foot is slightly withdrawn from the other. This was purposely done to differentiate the parinirwana state from the normal sleeping pose. Lankathila Viharaya is a Gedige type large image house build by king Parakramabahu the Great ( 1153- 1186 AD).